By joining the Tour, each girl receives a membership kit in addition to the ability to participate in Tour events. You will receive your Member Packet at your first event in 2018-19. Additionally, PKBGT Members get special deals and discounts from our participating partners. All members can go to the Member Benefits Page to see these specials and take advantage of these great deals! Ability to enter all PKBGT Regional events in all regions. Players may upgrade to a National membership to participate in National events. Players will receive an Imperial Hat and 30-minute RecruitPKB Consultation as part of their upgrade. 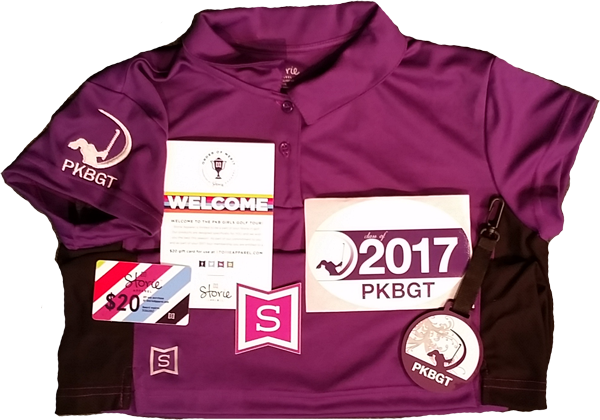 ** Membership packets are distributed at check-in at your first PKBGT event. WHAT NEXT AFTER I HAVE JOINED? Players looking for help in the college recruiting process can enhance their membership through our RecruitPKB program. Questions about the enhanced memberships can be directed to RecruitPKB College Consultant Brandi Jackson. The tour offers 4 levels of play along the PKBGT Series Progression. CLICK HERE TO LEARN MORE about which division is right for you. Players wishing to increase their playing status must SUBMIT A TOURNAMENT RESUME prior to registering for your first event. All decisions about acceptance will be made by the Tour committee to determine division status.